What Is the Value of My Medical Malpractice Case? How Settlement Value Is Calculated? Medical malpractice happens when a doctor, nurse, hospital, or other health care provider causes preventable harm. The effects of medical negligence can be subtle (a slightly extended illness, for example) or catastrophic (permanent injury or fatality). Prospective clients, understandably, want to know how much money their case is worth. Fair question. This article is about how malpractice insurance companies, judges, juries, and lawyers value medical malpractice cases. We give you real information to help you better understand your case. A complete list of malpractice lawsuits filed 2017-2018. Is There a Medical Malpractice Settlement Formula? A victim of a medical error is entitled to damages. Because courts cannot undo the negligence, the only method they have to “fix” the negligence is to compensate the victim with money. From our perspective, this serves important purposes. First, it helps the victim to make his or her life better—sometimes money is needed for future therapy, surgeries, or even adaptive equipment. Second, people who do harm should have to pay because, if they didn't, there would be less of a reason to avoid causing injury. The average payout for a verdict or settlement in a medical malpractice claim nationally is approximately $242,000. (Miller & Zois' average is easily more than triple this national average in recent years.) But the question is how do lawyers, insurance companies, judges, and juries arrive at a money award or settlement in these cases. That is the value that a jury places on your verdict. If you are calculating settlement value, you have to consider the possibility that a jury might find against you. So you multiply the value by your chances of success at trial. Look at nursing home verdicts and settlements in Maryland. Items of past damages are the easiest to calculate because there are bills or receipts. For items of damage in the future, it more difficult because no one can be sure of the future. New technology or advances in medical techniques may make a planned surgery obsolete. Or, health care costs may skyrocket above inflation, rendering these costs more expensive than planned. In catastrophic cases, smart counsel will hire an economist to help determine the present day value and the real value of a lifetime of care. This will allow victims to invest money wisely and grow it so that it will provide them with future care and security. Non-economic damages are things that cannot be precisely calculated. Maryland non-economic damages include things like past and future pain, suffering, mental anguish, disfigurement, and inconvenience. It is very tough to know how any particular judge, jury, a defense lawyer, or insurance adjuster is going to value non-economic damages. Lawyers should look to recent settlements and verdicts for similar types of cases for guidance (provided above) and consider any cap on non-economic damages. 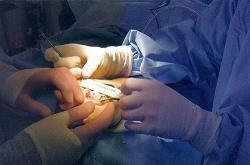 One important component for Maryland medical malpractice lawsuits is the damage cap. Maryland limits the amount of money that a victim of healthcare negligence can receive for non-economic damages. A plaintiff can receive any amount of proven economic damages; however, judges will reduce a jury’s verdict for non-economic damages to the maximum amount allowable by law. The amount of non-economic damages recoverable is determined based on the year of the negligence. Click here to see a chart on Maryland’s non-economic damages cap. For negligence that occurred in 2018, the cap is $800,000. The cap is a little different in a wrongful death case when medical negligence caused the death of the victim. In that situation, one or more people may bring a claim on the victim’s behalf and in their own right as wrongful death beneficiaries. The total cap for medical malpractice wrongful death cases occurring in 2018 is $1 million. Again, this is cap just applies to non-economic pain and suffering damages. There is no cap on economic damages such as past and future care, medical bills, and lost earnings. Maryland has a collateral source rule. This means that even if a victim received services or benefits, he could still recover the cost of those services. A good example is health insurance. If a doctor negligently performs a surgery that requires a second surgery, the victim’s health insurance may pay for that second surgery. However, in medical malpractice cases, there is an exception to this rule that limits the recovery to what the victim paid or will have to pay. A medical malpractice settlement value is different from the trial value of a case. That’s because a settlement is a compromise—each side gives up something in exchange for the certainty of knowing what they will get or give up. 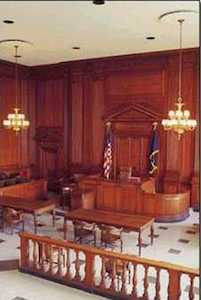 No one can ever say what a judge or jury will do, so settlement is a way to play it safe. For this reason, the settlement value is almost always less than the trial value. Are you frustrated trying to figure out the value of your potential malpractice case? You can get information about the value of different types of medical malpractice claims here. Particularly where settlement is concerned, the quality of the attorney can make a difference. Insurance companies and defense lawyers have a running list of lawyers and their success rates. If it is a lawyer or a law firm that regularly take cases to trial that will not accept lowball offers, there is a good chance that settlement offers will be higher. On the other hand, if the insurance company is up against a lawyer who has only gone to trial a handful of times, they bake this into the settlement equation. The hospitals and insurance companies know that those lawyers are afraid of trial, and are more likely to sell the case short (whether consciously or subconsciously). Having a lawyer with a proven track record sends a message. If you are hiring a lawyer, ask how many large malpractice verdicts his firm has. It is a little bit uncomfortable because you are going to feel like you are cross-examining the lawyer on his experience. Do it anyway. Because you only have one case. The location of a case makes a huge difference in the case’s value. Baltimore City jurors are different from Harford County jurors, and there are certain patterns and general qualities attributed (whether rightfully or wrongfully) to each geographic region. The perception is the reality because lawyers and adjusters will place different settlement values on cases based on what they think the relevant jury might do with the case. To see our analysis of each Maryland jurisdiction, visit this page. The jury will evaluate the plaintiff and defendant to determine whether they are deserving of belief, or whether they should be discounted. To some degree, this is a snap judgment—will the jury like or dislike the plaintiff and defendant? The more likable one side is, the more likely that side will receive a favorable or higher verdict. If you or a loved one has been the victim of medical malpractice or wants more information on the value of your medical negligence claim, contact our lawyers at 1.800.553.8082, or online for a free consultation. Our healthcare negligence attorneys handle cases involving birth injuries, hospital malpractice, ER malpractice, and misdiagnosis of cancer cases and other medical errors. If you are looking for real answers, give us a call.